Honeywell Replacement Humidifier Filters were designed to neutralize minerals in the water of HEV615 and HEV620 Honeywell Removable Top Fill Cool Mist Humidifiers. A Genuine Honeywell Filter can be instrumental in reducing the amount of "white dust" and the capturing of minerals. It is recommended that owners replace their humidifier filters every 20-30 fillings. This package contains one replacement filter that is compatible with HEV615 and HEV620 humidifiers. Product Dimensions: 6.8 x 1.5 x 7.5 in. This filter ensures that the humidifier works efficiently and properly. I have found that it needs to be changed when it becomes too dirty and/or impregnated with contaminants from the air. Our humidifier is a lifesaver. It keeps our bedroom at the proper humidity during the dry winter months which lowers our susceptibility to illness. Product is fine. Having to wait 4 weeks to get it not so fine during the winter when you need it. I had trouble finding replacement filters at conventional stores so ordered through Honeywell direct. Filters were back-ordered and finally arrived. Great customer service! My only complaint is the time it took to get my filters. I suppose this is a busy time of times. Other than that, they are perfect. I was so happy to receive my order of the replacement humidifier filters. It was exactly as promised and in good shape! I find the OEM filters to be a better quality than aftermarket. They last longer and the price point is better. Filters hold up and are not cheap in nature nor flimsy as opposed to other competing brands. So easy to install and so easy to flip over for even use and long life. We used two Honeywell humidifiers for all house comfort for the dry Minnesota winters. We'll be ordering more! Received in a timely manner even though it was not in stock, nice packaging, included coupon which was nice. Easy to replace filter in humidifier. It is the perfect filter for our Honeywell humidifier. Lasts about a month and does a great job in filtering the mist. Highly recommend this filter, we have very pleased with its performance. The filter is good just waiting too long for them. I stand by the product. It usually lasts me 2 months. You get what you pay for. 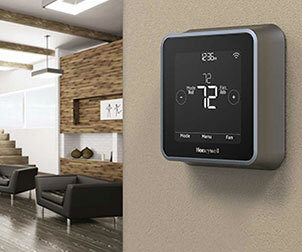 Excellent product and Honeywell is a great brand. 2ND ORDER, BOTH VERY GOOD. Received order promptly and in good order. Ordered online since I could not find them in the stores. I ordered some replacement filters for my humidifiers. They work great and the price was great too. The wick filters are always hard to find and often out of stock. Also wish they were a bit more reasonably priced, as even with filtered water and added conditioners they last less than a month for me. I really love this humidifier though and can't do without it in winter, so I buy in bulk when I can get them. I sure can tell the difference when I get my new Humidifier Filter HFT600PDQ in. It sends so much moisture in the air. We live in a 118 year old house and the more we can get, the better. With our water situation, we need to change them fairly regularly but it sooo worth it. Filters work very well. There is no powdery mineral in air or around the humidifier. 3 members of my family purchased a humidifier this year, and are unable to find the replacement filters in town. Ordering on-line, they were on back order. The humidifier is wonderful. The customer service on this site was very good. The filters should just be more readily available. I really needed new filters for my humidifier and couldn't find them anywhere. 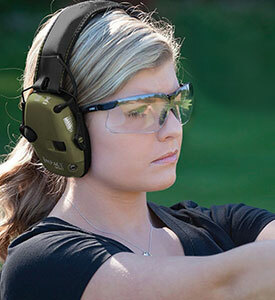 The Honeywell Store was priced well, compared to others, and now I have enough to last this season and into the next. The item was on back order so it took a long time to receive. But it works! It was great to be able to order original filters as they are super hard to find locally. They work so much better than the knock off brands. These filters are difficult to find where we live, even at the stores that sell the humidifier. I was happy to find them online. While they were out of stock when I placed the order, they were shipped when available and arrived just when we needed a new one. Work very well and just the right size. While these are somewhat expensive and don't last as long as I would like perhaps 2 weeks with proper turning, they do work effectively in combination with the tower humidifier. Better to spend the money and not have to deal with dry eyes and dead plants! Friendly and personal customer service is what impressed me. I was exactly what I needed, and came just at the right time. Easy to order. Took about 2 minutes to reorder. Product works well and ordering is easy. I'm happy with this filter. It does its job well. Getting these new filters have been a great help with our humidifiers. They arrived quickly and were easy to replace. These filters are always first rate. Ordered replacement filters for my new Honeywell Humidifier, that is working superbly. Beating the winter dry skin and itchiness. Best price point for replacement filters, and delivered fast. Works great! I will be buying more! Only place to get replacement filters for my model. Order was received within 1 week. It came in soon and I'm enjoying it. thank you! They are very effective. Once I change to a new filter the water in the tank goes down so much faster. However the filters are pretty expensive to buy. Hope they can be a little more affordable especially when buying in bulk. Ordered multiple filters for a good price. Shipped fast and arrived just in time to fire up the humidifier. Filters are good but need to flip every time I refill the tank so they don't dry out. Coupons are provided in box but nowhere to use them. Honeywell store had the best prices. Last year I bought a Honeywell humidifier, and this year I needed to replace the filter. The store did not carry what I needed, so to be sure that I got what I wanted, I placed an order on my phone as I looked at the humidifier. I received what I wanted in 3 days! You can call me a Happy Camper! Works perfectly in humidifier. Will buy again. These filters are great. I don't buy generic filters. Honeywell products are top notch. These filters are good at filtering. Outstanding customer service-attention to detail is terrific. Fast delivery. Could not find in store so was a relief to find. These work and should be changed as recommended. Just exactly what I wanted and it works perfectly! They work great. I'm using my humidifier again. Love my Honeywell humidifier! Waking up after having humidity in my bedroom has been the best thing for my dry skin an allergies! Easy to order, came quickly and I have a supply that will last forever. Good value for how many you get. Hard to find but pleased with the bundle pricing of 6 filters. I like the convenience of finding them online because after I bought the humidifier they discontinued it in stores. Work great. Arrived in great shape. Will order again. The best price I have found on the web for these filters. Order came when Honeywell said it would. Filters came in good shape. Very nice humidifier. Couldn't find the humidifier replacement filter at Menards, Home Depot, Lowes, or Target. Finally stumbled onto the Honeywell Store. Ordered two filters and got them within 3 days. Glad I found this place. Fits perfectly into the machine works well to filter the water. I appreciate the care given to my order. It was back ordered and I was notified when it shipped, given tracking and delivery. The filters are for my room humidifier which is working amazingly well on my hot desert climate. Thank you. The filters arrived with no issues. But most importantly, I was able to purchase the product at a great discount. I looked at other websites and the filters were not discounted at all. I will definitely order from this website in the future. I Give my recent purchase a 5 star. I received excellent customer service and received my products when I was promised! Thank you! Menard's didn't have this filter out anymore so we had to order this online. Getting ready for next winter, already. The replacement filter fit like it was made for the humidifier, oh, that's right it was. I would think that it will work as well as the original. I could not find this anywhere in town. Works much better than the generic brand filters. I cannot find these filters in any store. I wish there was an alternative to the internet ordering. First, I want to say thanks for having these filters that seem to be either sold out or the price is extremely high on other sights. At Honeywellstore.com the price was excellent and I was able to get the filter I needed. You took complication out of ordering the filter and now myself and spouse are able to breathe easy at night. This was a replacement to the original filters in the machine that had grown mold inside. Love this humidifier. It has made a significant difference in our home. I ordered these filters for the Humidifier HEV620 could not find in the store that I bought the humidifier. Online shopping was simple and easy, shipping was fast. Will purchase online again. I can not use my humidifier without this filter. If I had known this humidifier and filter would be discontinued from stores I would not have purchased. 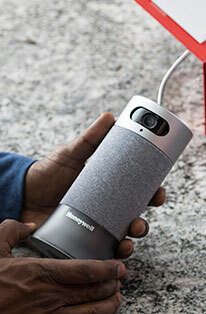 I can not purchase in store only from Honeywell online. Filter is well made, and works well. Was very happy to find humidifier filters from the Honeywell Store. No one carries them around here. Very quick delivery on my orders. I think your product is top notch. It really helps with the dryness of the winter months. I will continue to use your product every winter. Very good filter. Use purified water To extend the life. I searched around and this was the best site for a filter replacement. I'm not happy with how hard these filters are to find since I spent a good amount of money on the humidifier, but I'm glad I found these. They're definitely authentic! Liked the product and the price. Working pretty well so far. The filter I ordered works perfectly for my unit. This was a very easy purchase, the search function brought the correct results right away - my items shipped faster than anticipated and I was able to replace the filter quicker than I thought. Will utilize this outlet again and again. Was looking everyplace to find these, should have ordered on the site to begin with. Perfect fit and great delivery was very efficient. These filters were delivered in a few days and were cheaper than buying them at Target! Great filters. Couldn't find them anywhere locally or online. Ordered through Honeywell Store and got them within a few days. Great service. I have dry eye and the humidifier helps, I checked around and they have the best price for the filters. Great price, better than anywhere else. Honeywell humidifier filters less expensive! I was surprised to find genuine Honeywell filters less expensive & easier to purchase via factory store than elsewhere - EXCELLENT! Worked great, better than off-brand filters. They are the OEM filters, they work. No issues - you get exactly what you expect. Works great. Performed well for a great humidifier! This was the only place I could find the replacement filter. It is always best to use the original manufacturers product they fit perfectly and work great. We love the humidifier, helps a lot with our dry air issues. Was very happy with the product and got in a very short time, which was good we needed them thanks. I have no problem with the filter--it was waiting for two months for delivery. I was worried that I'd be without a filter and ruin the humidifier. Honeywell made it very easy to order the filters. Seem to be the same quality as those that came with humidifier purchase. Disappointed that we couldn't use $1 off coupon provided with original humidifier purchase. Suspect the same will happen with coupons provided with this purchase. Item was on back order but came in a timely manner. My wife and I experienced our first winter in our four-room apartment in a retirement community. Everything was fine except there was no provision for humidity. So I purchased this Honeywell. It does the job with little problem with daily care. Just one suggestion: keep the correct filters in stock!!!! I had to wait far too long. One of the best places to get filters. I have not used the product ordered but it is the same as the one that came with my humidifier. I am very satisfied with it. Easy to remove and replace filter. I was very happy with this product. It did the job at a fair price. So far, very good. I love the humidifier that we need these filters for. My only wish is that I didn't have to change the filter as often. I cannot find these filters in store near me. I ordered these, they were out of stock but shipped in 2 weeks. Love this product with a filter to help prevent polluted air. My humidifier did not seem to be working properly. I put in new filters and working great since. As long as you follow the instructions of rotating the filter ends and cleaning the humidifier regularly, the filters will do a good job. The filter lasts a little more than a month and you notice when its going bad because it can't keep the humidity. Very easy to replace, just follow the instructions. Can't complain, it's a filter for my humidifier and it works as it should. Shipping was quick from Honeywell too which was a bonus. The products works just fine. I was happy with the price of the filters and your communication as to delivery time. I will make my next order through you and hopefully you will have them in stock. The delay was not too long, however. These filters work great with our two Honeywell humidifiers. We are also very pleased with the humidifiers. They work efficiently and quietly! I'm so glad to be able to purchase these filters online. It is very convenient. I purchased a Honeywell humidifier for my living room where I spend much my time. I have dry eye issues and hoped the extra moisture in the air would help. It has! Now I don't have to use the prescriptive eye drops! 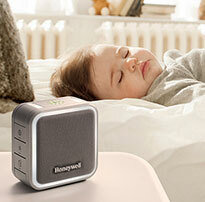 The Honeywell humidifier is so convenient to fill with water and to change the filter. It is a great addition to my home. These filters work as advertised and can be hard to find in retail stores. Hit or miss locating them anywhere else online. Didn't trust ordering from any other retailer when I can feel comfortable knowing the product I need is available direct from the manufacturer. Filter works fine. Will order again. Reasonably priced also. Eureka! We have found them! We purchased our Honeywell humidifier without realizing the T filters were almost impossible the get! Thankfully we were able to find them here! The price is great and as soon as they were in stock, were shipped to us! We purchased several so we don't run out again! They arrived quickly and work great! These were very hard for me to find in the local stores, so I was happy to see I could easily buy directly from you. We like this humidifier a lot, and have it running 24/7 since it is so cold out right now. I have seen these filters at other stores & online at double the price. It's more affordable & convenient to order online. These units are the perfect fit for my humidifier and they arrived very promptly. Nice filters. I ordered 3 to start. Will order more when needed.